There are many ways to purchase Facebook and Twitter followers. Some are legal such as advertising, adding fanbox to the site, running contests and campaigns. Others are not. On 10 July, the morning newspapers carried a front page story that would soon go viral. The Bhartiya Janata Party (BJP) had accused Congress leader and Rajasthan chief minister Ashok Gehlot of buying Facebook 'likes'. At least 45,000 fake followers who inexplicably visited Gehlot's page from Turkey in May and June were brought from an agency in Istanbul, alleged the opposition. Shubho Sengupta, a social media consultant based in New Delhi, says he instantly knew that the agency had messed up. Neither Sengupta nor his fellow online media strategists handling political accounts were, however, shocked by BJP's allegation. Manipulating numbers in social media - purchasing Facebook and Twitter followers/ likes -is an open dirty secret in modern politics where the social media war has become a game of one-upmanship. While fake followers are a poor substitute for real loyalists, the big numbers act as ego boosters for politicians especially those who have recently woken up to the phenomenon of social media and don't want to be as out of touch with the much-touted youth vote. Numerous firms, known as 'third parties' in social media parlance, open gmail accounts in bulk and use them to create Facebook and Twitter accounts. "From our data base, we direct certain number of followers to the client's Facebook fan page which costs Rs 4 per like. If the page is already popular with 30- 35000 followers, we charge Rs 2.5 for each like," said a representative of one such Delhi firm. Rs 5 per non active Twitter follower and Rs 15 for every active follower, was the rate he quoted. Unlike an active follower, non- active follower will reflect in your list of followers but will not engage in any conversation. Websites such associalbuzzstore.com offer 1000 Facebook fan page likes for $ 25. Up to 1000 fans can be added a day. Five hundred Facebook followers cost $ 19. "Many such companies operate out of the US, UK, Bangkok and Vietnam, said Sengupta, who was involved in social media marketing of a cola maker till recently. The other number boosting strategy is called 'cross linking', which is a mutual understanding reached between two parties where if one party's Facebook page receives a Like, so automatically does the other party's page. Unlike five years ago, when rallies, press release and party websites were all that mattered, social media influence is now viewed as critical for political success. "These numbers have become a measure of one's popularity and influence. When you notice that someone has more than one lakh followers on Twitter, you are bound to believe that the person is quite popular. You will not investigate how many of these followers are genuine and how many are fake," says Chirag Cherian, director, online PR at Perfect Relations, a brand management firm in New Delhi. Online marketing experts say political clients fall into two broad categories based on their understanding of social media: those who are nave and don't know the perils of manipulating numbers and those who digital savvy and will never opt for fake followers. Their willingness to purchase followers and likes depends on which category they belong to. One of the political social media campaigners (name withheld) in Delhi who handles the accounts of two members of Parliament, one member of legislative assembly and one councilor says his clients "are just concerned about increasing their overall outreach to masses. Our mandate is to create a fan page and make it successful." Puneet Pahuja is founder and CEO of Webenza, a Bangalore based digital media marketing firm which handles the online account of a national party recently launched from the South. Pahuja views the number-mania as a side-effect of election anxiety "As parties or politicians try to outdo each other, the buying of FB likes and Twitter followers may be happening when there is a lot of pressure to perform and the polls are not very far. They might feel the need to inflate numbers in no time." Pahuja says his political clients are image conscious and would not want fake likes and followers. "They want passionate and not fringe followers. They seek people (followers) who can engage in conversation and change the course of debates. And anyways, why would a politician or a party want to reach out to followers who don't exist in the real world?" he says. Inactive, fake fans are also ineffective as they cannot engage with others. But a certain kind of fake follower can influence the social media conversation, says Narendra Nag, vice president, MSL Group India and co- lead, social media practice. "If someone has created a certain number of Twitter accounts and is operating all of them to defend an individual or give out a specific message, then that has the potential to influence the discourse around that one individual. 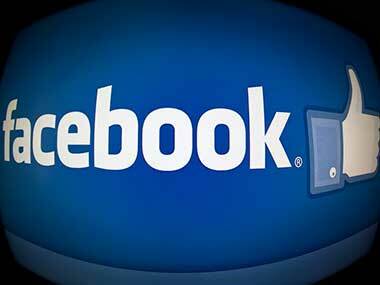 This is far more significant than buying FB likes or Twitter followers," he said.